Ad Hoc is highly versatile, making it suited to a broad range of applications. As a modular system, it can be configured to suit individual requirements – right down to the smallest details. With individual tables or groups of tables in various sizes, it fulfils all standard office requirements. Ad Hoc High Work utilises different legs to provide new options for healthier standing work postures. Ad Hoc Executive offers elegant solutions for management, and Ad Hoc Solitaires complete the range with conference and visitor tables. The Ad Hoc office furniture system was designed in collaboration with Antonio Citterio in 1994 and has been continuously updated and expanded ever since. 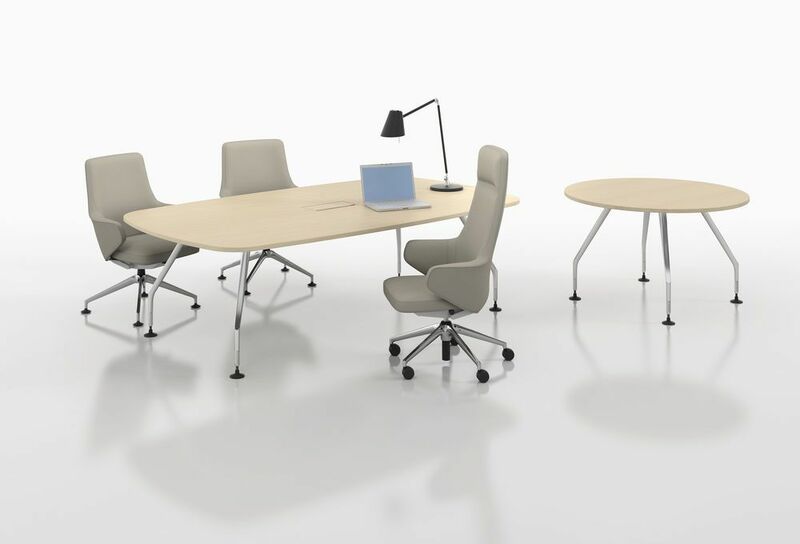 It is both an archetype and a classic in the area of office furniture systems. The functional longevity and economic efficiency of Ad Hoc are due to its adaptability, high-quality materials and superior workmanship, as well as its timeless expression of technological elegance.